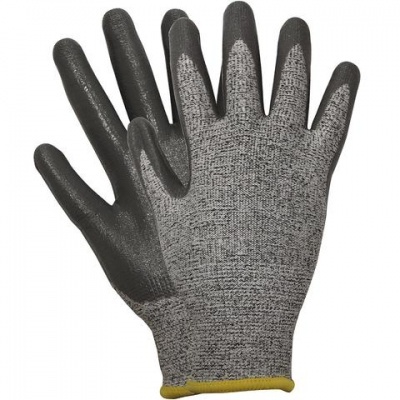 Keeping your hands safe and comfortable during gardening and handling tasks, the Briers Professional Cut Resistant Gardening Gloves B5209 are the ideal versatile and practical addition to your gardening attire. With Level 5 cut protection, the gloves are ideal for improved safety when handling sharp tools and objects, and the addition of nitrile coating on the palms helps to repel water for overall more safe, dry, and comfortable working. The Briers Professional Cut Resistant Gardening Gloves B5209 are available in a single size that should be suitable for most users. Please measure the circumference of your hand around the knuckles (excluding the thumb) with your hand open and your fingers together, and the length of your hand from the tip of your middle finger to your wrist.